Namibia is one of the most sparsely populated countries in the world and this 13-day self-drive tour will show you the vastness and breathtaking landscapes of this dry land. Climb the dunes of the Namib Desert, see the extraordinary Erongo Mountains, marvel at ancient rock art in the Damaraland, explore the Etosha National Park on game drives and go hiking on the Waterberg Plateau. After a leisurely breakfast, you leave Swakopmund and travel inland. In the distance, you will see the Spitzkoppe, one of Namibia’s most recognizable landmarks. Go for a walk and explore the imposing granite rock formations or take a guided tour and view ancient San rock art. Today’s destination will be the Otjohotozu Farm in the Erongo Mountains. Lean back and enjoy the warm farm atmosphere. Alternatively, join a game drive in the morning or afternoon. You will spend two nights at Otjohotozu Guest Farm. After breakfast you depart for the world-famous Etosha National Park. 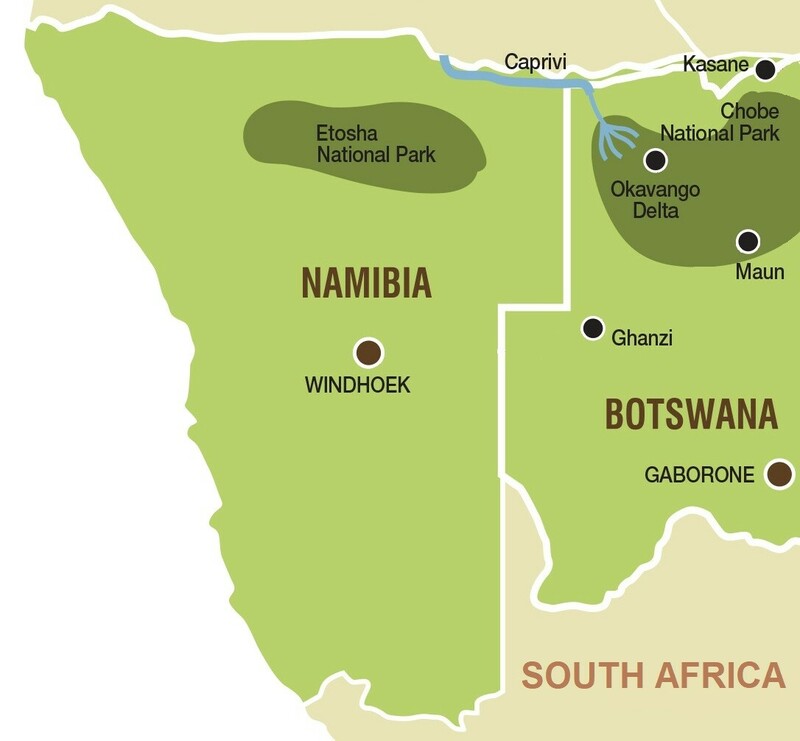 Etosha (‘huge white area’) is one of the largest game parks in Africa and with its range of animals and landscapes – acacia trees, vast open plains and a massive salt pan – also one of the most interesting. Okaukuejo Camp is a good base for game drives in the western, central and eastern part of the park. During these two days, you will spend most of your time game viewing around the waterholes where elephants, giraffes and different species of antelope and birds come to drink. With a bit of luck, you might even be able to spot lions and rhinos. To see nocturnal animals, a night game drive (optional) with a park ranger is a good option or visiting the floodlit waterhole at night – very thrilling. You will overnight at the Okaukuejo Camp for two nights. Interested in the Highlights of Namibia Self Drive Safari?